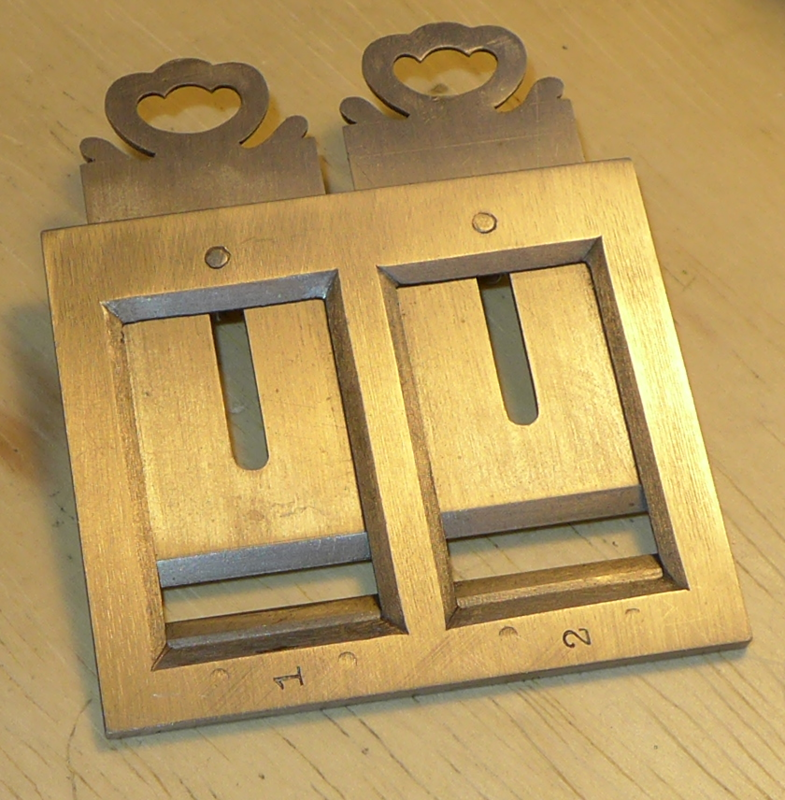 Despite the fact that both Moxon and Fournier begin (more or less) with the construction of a gauge, there are fewer gauges used in punchcutting than one might expect. Some of the gauges commonly seen, such as the Turning Gauge, Body Gauges, Type Height Gauges, etc. are really for the matrix justifier and typefounder. 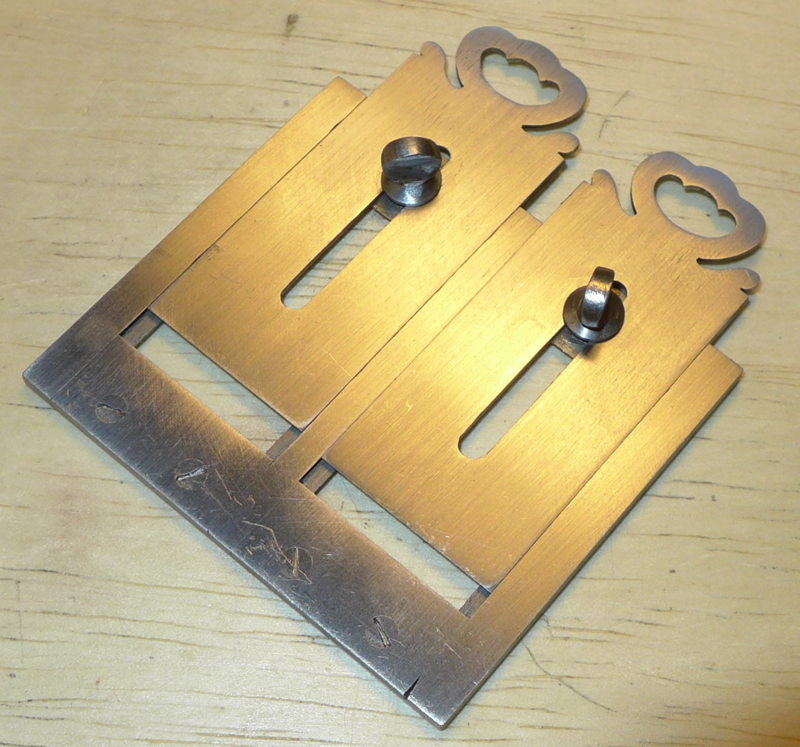 One gauge which is specific to punch and patrix cutting is the one called the "Calibre" by Paput in "La Lettre." Despite Paput's fine explanation of this gauge, I was confused by it. A few minutes' conversation with Stan Nelson fixed that. It is a simple transfer gauge: you set it to some dimension of an existing piece, and use it to reproduce that dimension on your new workpiece. It is an optional tool. If you were to work entirely from drawings transferred to the punch blank face, you'd never need it. (We did not use it in Stan's 2016 Wells College class, although he brought one to show.) But at the I.N., where they are duplicating punches now too historically important to be struck, it must be invaluable.